Varathane Weathered Wood Accelerator creates a weathered look on bare or untreated wood. It replicates the aging process that happens in nature by reacting with the tannins of the wood to create a unique one-of-a-kind aged grey look. It works on all types of wood. Final look will vary on wood type. This water-based formula is low odour. 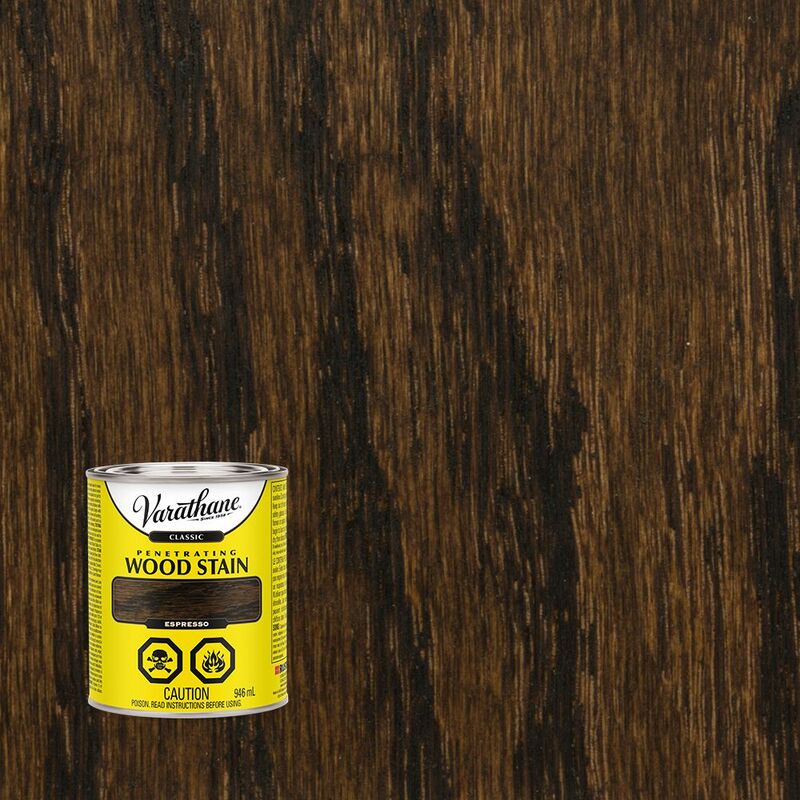 Varathane Classic Penetrating Wood Stain Espresso 946ml VARATHANE Classic Oil-Based Penetrating Wood Stains are formulated with a unique base for deep penetration and premium pigments for clear colour. This results in a deeper, richer and more natural colour for your wood projects.